I used to be a stressed-out parent at bedtime. My focus was all wrong. Instead of focusing on making bedtime enjoyable for my child, I was focused on getting my child to sleep fast so that my “me time” could start. We moms put all of our energy into so many different things throughout the day, that by bedtime, we are exhausted and short-tempered. 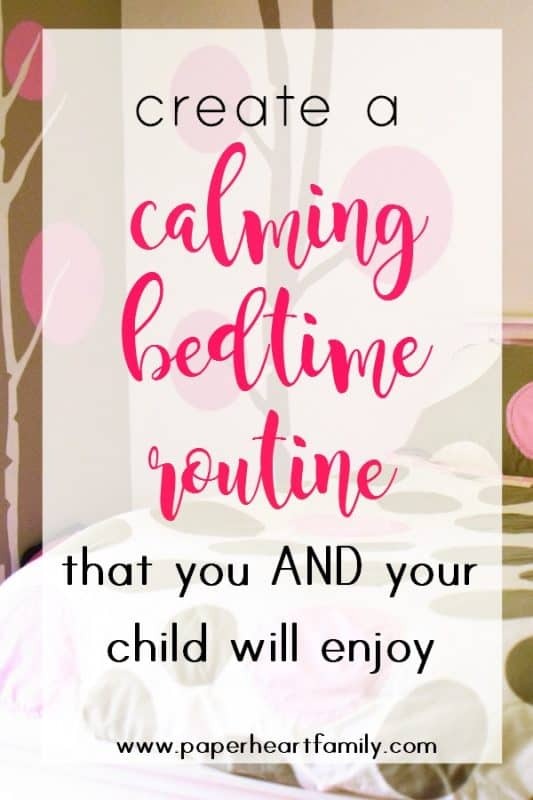 This is why it’s so important to create a bedtime routine that is relaxing, and that you and your child will actually look forward to. 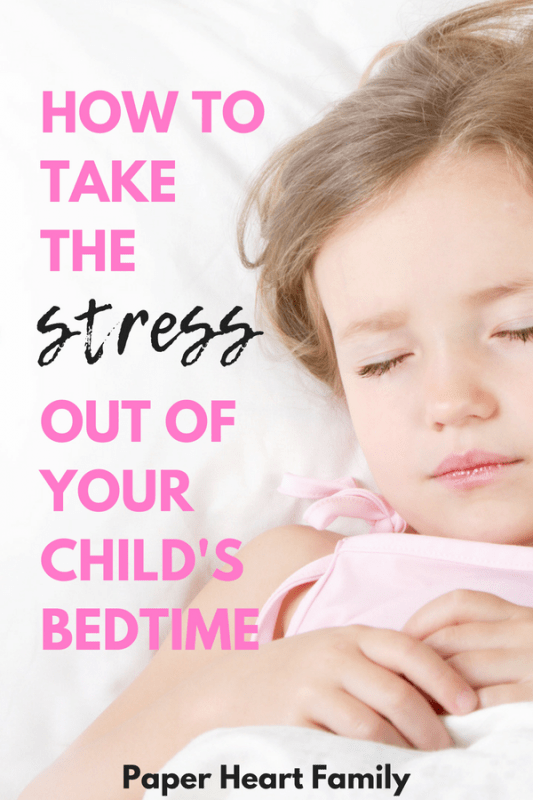 Of course you will still rejoice when you finally close the door, or when your child finally closes her eyes and drifts off to sleep, but imagine how much nicer it will be if you don’t dread the bedtime routine. We’ve all done it. I know I have. And as the words are coming out of my mouth, I know that I shouldn’t say it. Don’t make bedtime a negative thing. Keep it positive. I have one child who has despised sleep since the day that she was born. She’s finally getting better. She knows the importance of sleep now because I have told her over and over. Be sure to teach your child about the importance of sleep, how it will help your child to feel happier and recharged. -And most importantly, include time to connect with your child. This will help your child to drift off to sleep peacefully. Routines are so important for young children. They thrive on them. 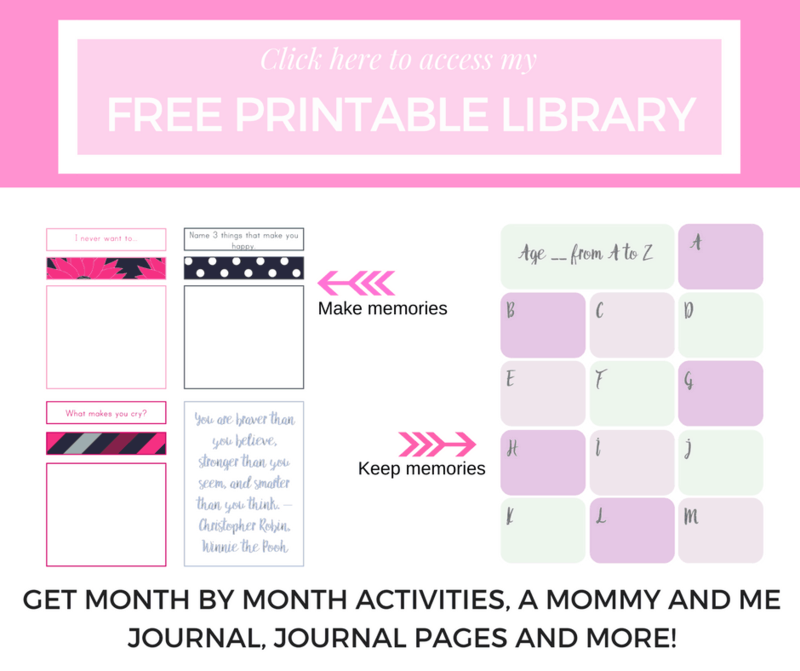 If you have a toddler, you might want to incorporate this awesome printable into your routine, that can help her visualize what is going to happen next. Here is our bedtime routine. Bath- I think that even if a bath isn’t exactly relaxing for your child (how could it be with all of those toys? ), the best thing about a bath is that it is a transition period. It signals to your child that bedtime is coming. To up the relaxing factor, I highly recommend Alaffia Bubble Bath. This stuff is amazing, completely gentle and natural for your child’s skin, and the company is AWESOME, which totally makes me want to buy all of their products. -Jammies- From the bathtub and straight into your child’s pajamas. I like to dim the bedroom while my kids are in the tub too, to set the mood. -I ask my 5 year old her “question”. This is where the connection comes in. No matter how busy your day was, you can take a few quiet minutes at bedtime to connect with your child. I get so much enjoyment out of hearing my daughters answers to questions like “What would you like to do more as a family?”and “What makes you beautiful?”. It’s a keepsake that I will look back on when she’s older. Learn more about this Mother Daughter Keepsake Journal. -Read books- Make sure you snuggle together for this one! -Tell a story. My husband actually started this and my daughter loves it. They tell each other a story. It can sometimes be difficult to come up with a creative story, but I can guarantee that your child will think your story is great anyway. The story that my husband tells is always about her, and if he is running low on inspiration, he asks her what she wants the story to be about. Then she gets to make up a story to tell us. Bridget from This Mom Life has a great how-to post about the power of storytelling. Congratulations, mama. You made it to the time of day that is all about you. And now you should actually be able to enjoy your “me” time because you’re not frazzled and annoyed from fighting with your children at bedtime. If your child is still having trouble winding down before bed, you can find some great tips here. What is bedtime like at your house? Love this! It’s so important for bedtime to be a satisfying time for the child and the parents. I love that I can always rely on bedtime to reconnect, apologize if things went wrong, celebrate what was good, and just enjoy some quiet time with my daughter. Ooh, I love that point! To use it as a time to apologize if needed and celebrate the good. ? We definitely struggle with bedtime at our house. The hard part is ending the routine. They love more stories and more stories! I am always so tired that I fall asleep with them too! I’ve never fallen asleep putting me kids to sleep. HAHA, just kidding ? My little one will not go to sleep without a story. If anything else changes, she rolls with it, but there is no sleep until a book has been read or a story has been made up. I think that’s awesome though! Reading is so beneficial ? Great ideas here! We’ve struggled with having a real bedtime routine. I’m hoping the start of school for my tween will make it easier to get this routine set for my toddler. We always read a story with our girls when we tucked them in at night. This routine has created lasting memories for them and us! I totally don’t have memories like that of my childhood, but wish I did! I’m glad my kids will ? I really like the idea of asking a question! It is so very true that w must keep a bedtime a calm and positiv thing for our kids. Definitely, I know I want bedtime to be that way for me too! Such a good point about remembering to enjoy bedtime. If I go into it with negative thoughts, that energy will definitely transfer into the routine and make things difficult. We are currently in a defying bedtime phase again so I just need to remember to stay calm and this too will pass. Absolutely! It’s all about your mindset with lots of things in parenting ?